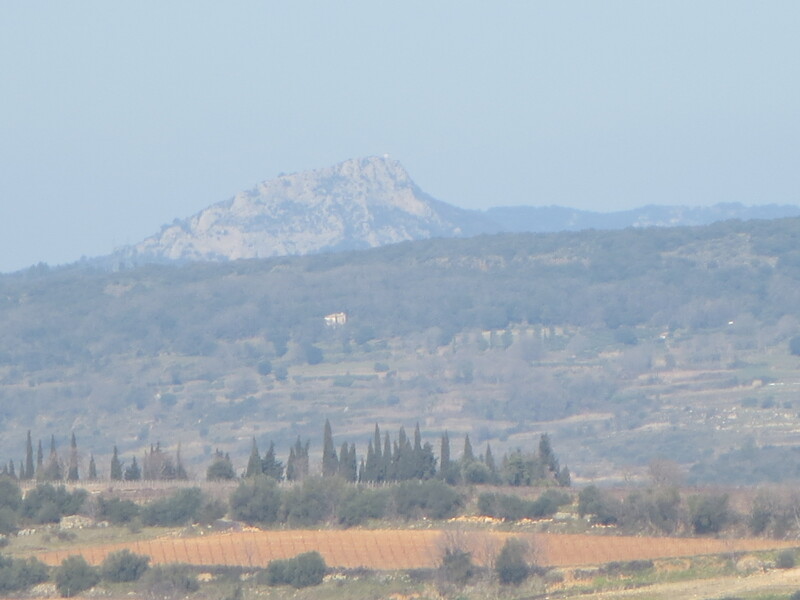 Just over the hill from Caux is the AOP Languedoc Cabrières vineyard and village, protected by the stunning Pic de Vissou. This is a village which until recently was best known for its Cave Cooperative, its rosé wine and seemed to be living on past success. However, new blood has revitalised the village’s wines. 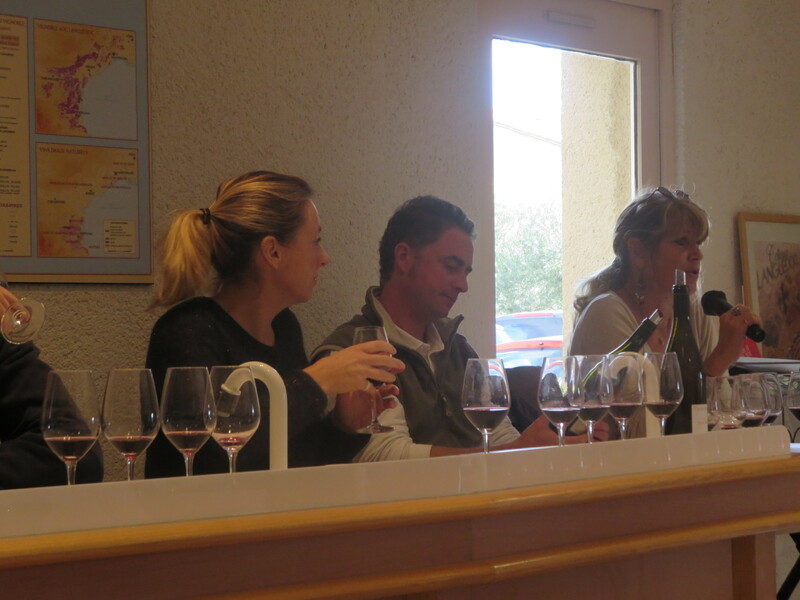 Véronique Atout (on the right) explains the wines of Mas Coris at a tasting in November. Mas Coris, run by Véronique and Jean Attard, use organic methods and modern technology to produce a series of good wines in their small cellar in the heart of the village. A new Clairette has come on stream this year. This was a grape for which the village used to be renowned and I know that the Atouts went to great lengths to ensure that theirs has the AOP label. The story of the domaine is really interesting and it is well worth reading about it on their website, as well as buying the wine! Another domaine making waves from Cabrières is Clos Romain, which also produces olive oil and rents out ecogites. 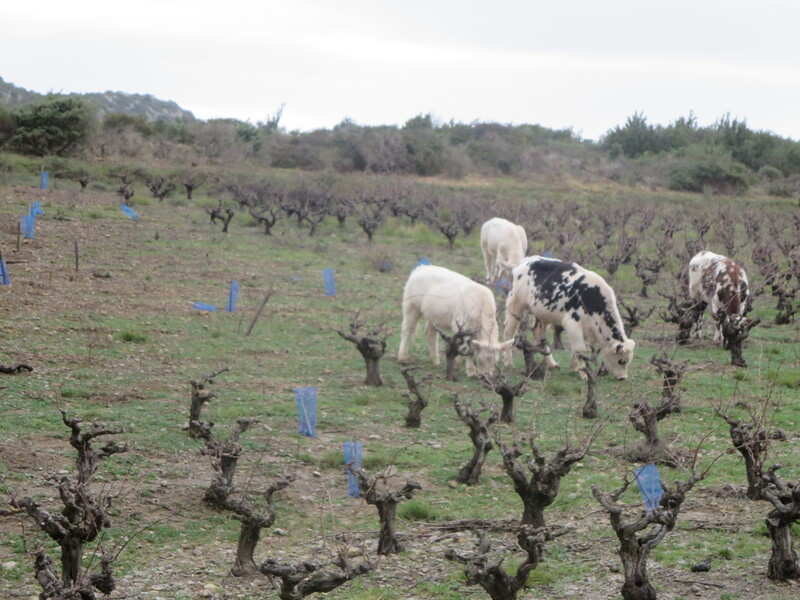 Their vineyards are run along organic lines and Romain Cabanes is experimenting with vinification in amphorae. I will be visiting the domaine in April and will report back, but the domaine has received some very good reports including in La Revue des Vins De France. So, if you want to discover a wine village which is on the up and off the beaten track,head to Cabrières. I’m sure you won’t be disappointed. Categories: Tasting, Vignerons, Wines | Tags: amphora, Cabrieres, Clairette, Clos Romain, Mas Coris | Permalink.